to monitor and evaluate the impact of Every Child Matters at classroom level. 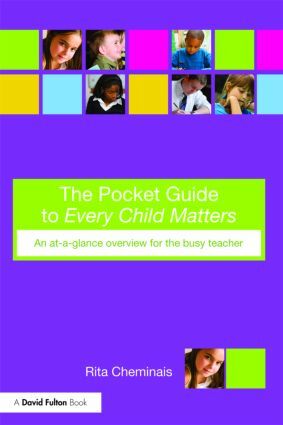 Pocket Guide to Every Child Matters is an invaluable, good value, user-friendly resource for all busy Children’s Workforce practitioners, working directly with pupils in classrooms, offers practical tips and guidance, effective strategies, models of good practice and signposting to further sources of information. It features step-by-step advice, useful checklists and templates which can be customised to suit the context of a range of primary and secondary phase educational settings. What is Every Child Matters about?